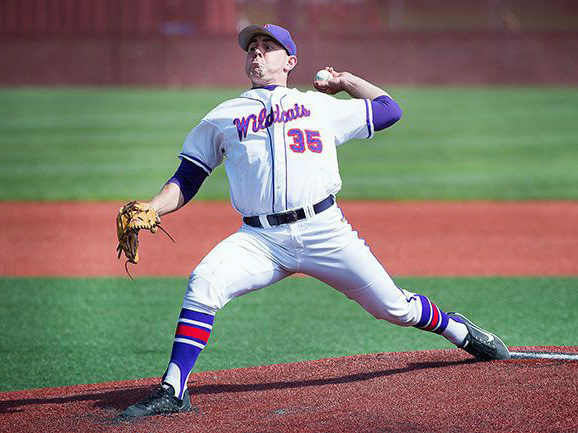 Knights’ left-handed pitcher Cason Cunningham of Linfield (pictured, above) earned honorable-mention preseason All-American honors from D3baseball.com. Cason was 1-0, 1.61 in seven games, with 28 strikeouts in 22.1 innings for the Knights in 2017 before being shut down for the balance of the season in late July. 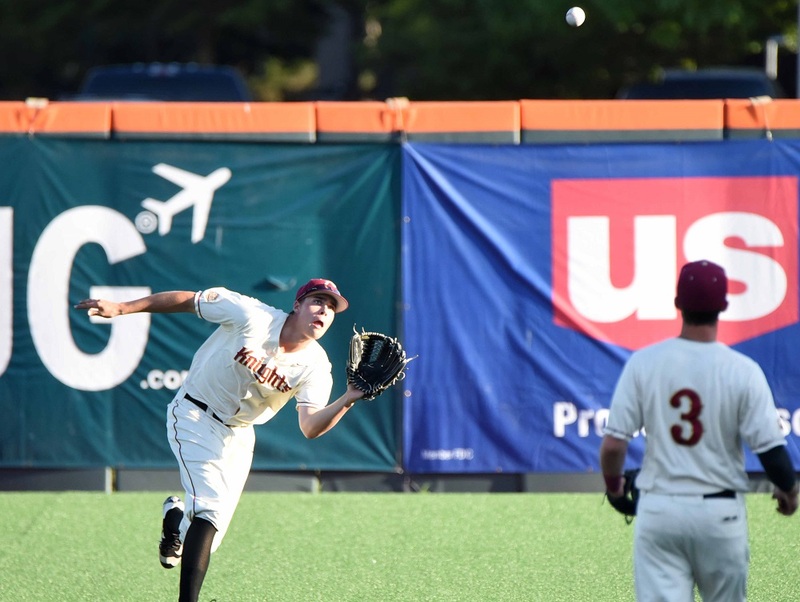 He was an honorable-mention WCL all-star and a South Division all-star despite pitching just two innings after July 3. 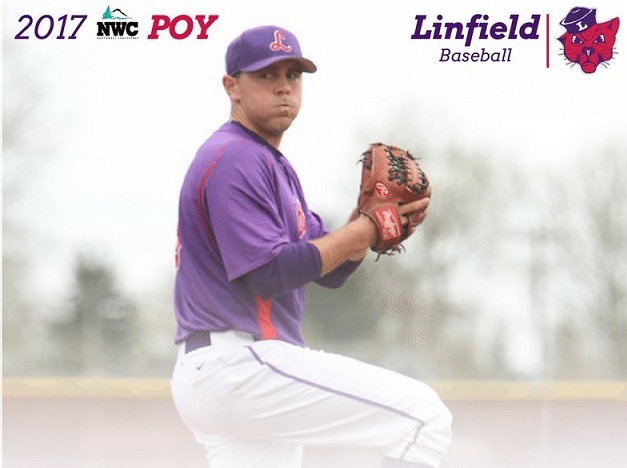 A graduate of Sheldon High School in Eugene, he was 5-1 with a 2.13 ERA in 15 games for Linfield in 2017 and earned Northwest Conference Pitcher of the Year honors. He had 104 strikeouts in 84.1 innings and held opponents to a .154 batting average. 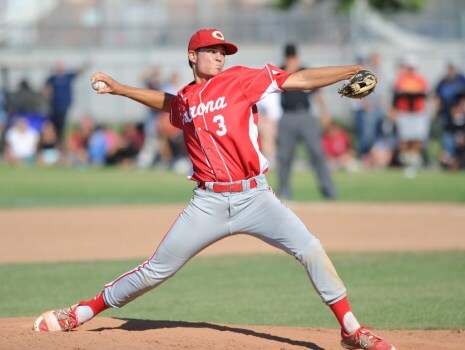 Cason earned honorable-mention all-Northwest Conference honors in 2016, when he went 5-1 with a 2.73 ERA in 13 games, with 66 strikeouts in 56 innings. Please click here for a link to the entire All-American team. The Walla Walla Sweets have signed sophomore right-handed pitcher Ty Hueckman, freshman utility Josh Prizina and freshman pitcher Tanner Cunha of the University of Nevada for the 2018 season. Please click here for more on that story, from the Our Sports Central website.